Jonathan is a specialist extradition law practitioner. He is ranked as a ‘leading junior’ in The Legal 500 for International Crime and Extradition, and has developed a busy practice in this complex area. He regularly appears at Westminster Magistrates’ Court and on appeal at the High Court, and he represents both Requested Persons and Judicial Authorities. Prior to joining Drystone, Jonathan spent 18 months in the Extradition Unit at the CPS. Jonathan also has considerable experience in criminal law and is instructed in criminal matters on behalf of defendants and for the CPS as a Grade 2 panel advocate. Before joining Chambers, he was a Senior Crown Prosecutor for the CPS, where his diligent preparation and robust advocacy meant that he was instructed to act in difficult and serious cases. He gained extensive experience in all types of cases in the Magistrates’ and Youth courts, encompassing work from theft to sexual offences. He is also instructed on behalf of various local authorities. Fuzesi & Balasz v Hungary  EWHC 1885 (Admin) – Led by Mark Summers QC for Mr Balasz. The Appellants argued that their extradition would amount to a real risk of a breach of their Article 3 Convention rights due to the prison conditions in Hungary. Belgium v H & M (August 2018) – Representing two requested persons facing extradition to Belgium in respect of high value theft offences. Both were discharged on the basis of section 12A. In addition, M was discharged on the basis of Article 8 ECHR on the basis of particular mental health vulnerabilities. Belgium v M (April 2018) - The requested person had previously been the subject of extradition proceedings from Greece for the same matters, and had her sentence transferred to Greece where it had been served in full. The warrant was discharged on grounds of Article 8, double jeopardy and abuse of process. 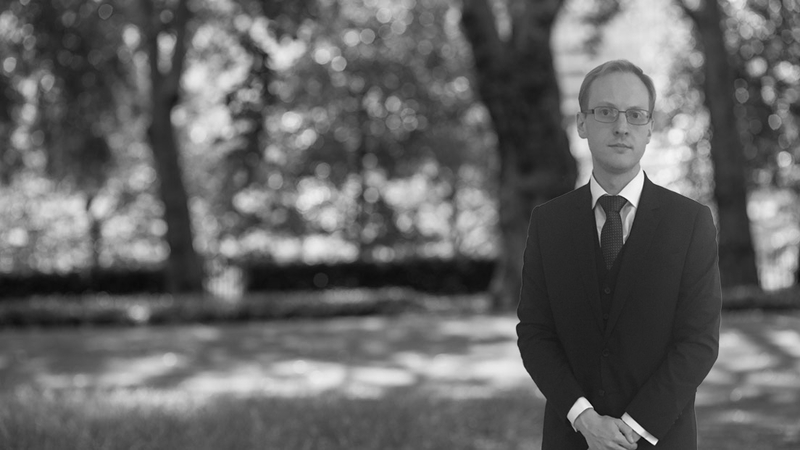 Rinkevicius v Lithuania  EWHC 145 (Admin) – Representing the Appellant in a successful appeal against the order for extradition on the grounds of proportionality. The Court held that, for the purposes of the Extradition Act 2003 s.21A, the requesting judicial authority bore the burden of detailing the seriousness of the extradition offence and what the likely penalty would be. In this case, they had not done so and so the appellant should be discharged. FK v Germany  EWHC 2160 (Admin) – Led by Julian Knowles QC for the Respondent. The Divisional Court considered the powers of the court to admit fresh evidence of the respondent on appeal which was relied upon to uphold the decision of the district judge, and concluded that it could do so in the interests of justice. The Court also rejected the arguments of the appellant that the District Judge had erred in his conclusions in respect of sections 2, 10, 14 and 21 of the Act. The appeal was dismissed. Mlynarik v Czech Republic  EWHC 3212 (Admin) – Acting for the Respondent judicial authority. The Court held that a distinction could be drawn between a requested person trying to undermine a warrant by adducing evidence, and the district judge taking into account his evidence for the purposes of establishing dual criminality. The decision of the District Judge was therefore a proper one, and the appeal was dismissed. Sobczyk v Poland  EWHC 3353 (Admin) – appearing for the Respondent judicial authority as a lone junior before the Divisional Court. The Court upheld the decision of the district judge to order the extradition of the Requested Person. Hungary v N – Representing a requested person who was a youth when he allegedly committed a number of non-domestic burglaries, and left the jurisdiction as a fugitive. His extradition was resisted on the basis of Article 8 and proportionality, including expert evidence. R v J – instructed for the defendant. The Defendant pleaded guilty to possession of 7 rounds of live ammunition. After mitigation, the Court were persuaded not to impose a custodial sentence, and he was sentenced to a community order, with a single condition of unpaid work. R v A – instructed for the defendant, charged with a transphobic public order offence. The defendant was acquitted following trial. R v J – instructed for the prosecution. The Defendant was an MP charged with assaulting two youths in a shop, and raised a defence under section 3 of the Criminal Law Act 1968. The Defendant was convicted after trial. The case attracted national media attention. R v BP – instructed for the prosecution. The Defendant, a youth, was charged with causing grievous bodily harm and possession of an offensive weapon. The complainant and witness were both aged 15. The Defendant pleaded guilty on an acceptable basis. R v M – instructed for the prosecution. The Defendant was charged with a course of harassment spanning two years, and had also previously received a caution for similar conduct against the same complainant. The Defendant was convicted after trial. R v B – instructed for the prosecution. The Defendant faced 18 charges of theft and false accounting during the course of employment at WH Smith. The trial involved two professional witnesses for the Crown. The Defendant was convicted of all charges after trial. 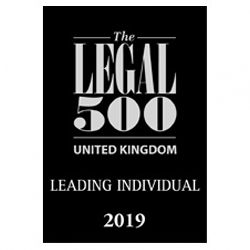 Legal 500 recommends Jonathan, stating "Formerly of the CPS, he is creative and innovative with his defence briefs".